In our February subscriber exclusive, we interviewed children’s author Kimberly Johnson. One of her lasting inspirations is her grandmother’s recitation of poetry. Kimberly names Dr. Seuss, Robert Louis Stevenson, and Shel Silverstein among her favorite childhood influences. As a children’s writer, she prefers to write in verse, influenced by her grandparents, Amos and Lucy Pearson, who raised her. She has a special place in her heart for poetry, inspired by her grandmother, who recited poems from memory. Alexander: I like to write poetry because it allows me to convey emotions in ways other mediums don’t. It brings words to life. Katelyn: I write a poem each week. Sometimes my poems are profound, sometimes silly, sometimes very serious. They often reflect my mood or things that have happened that week. Writing in the form of a poem helps me see my experience and the world around me through new eyes. And… it’s cheaper than therapy. William: I’m a pretty simple guy. I don’t mind poems I can understand. For example, “I Hear America Singing” by Walt Whitman. As he shows the carpenter, the boatman, the mother, and so on, all singing, I’m pretty sure it means we all have our own song to sing. Diane: Rilke’s Book of Hours, translated by Anita Barrows and Joanna Macy. I could read it for hours and hours. Just beautiful. My favorite. Betty: Shel Silverstein is my favorite. I love to read his poems to my grandchildren. They conjure such wonderful imagery and discussions! Karen: My sister Lori has written “Roses are red, Violets are blue” poems since she was five (that’s more than thirty years ago!). That’s my favorite kind of poetry: homemade with love. April is National Poetry Month. On Twitter, track #NationalPoetryMonth for a wide range of activities, events, and inspiring poets. There are many modern-day poets in your neighborhood that are online as well as performing readings in nearby cities and universities. 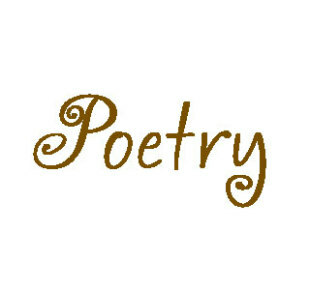 Let us know what new favorite poetry you discover! Tell us about the poetry in your life.